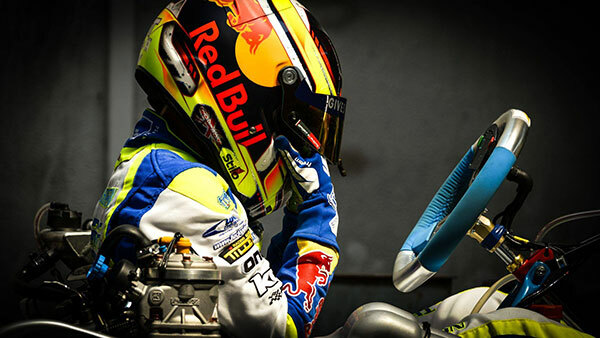 Since last year, the CIK-FIA has made a specific classification for Drivers up to the age of 16, participating in the FIA ​​Karting World Championship and the FIA ​​Karting European Championship for the first time in the OK category, in order to highlight the emergence of young talents at the highest level of racing. Of some thirty Drivers meeting these criteria, it was Briton Harry Thompson who scored the most points and has been named Rookie of the Year for 2018. The one-year reduction in the age of entry to the OK category, introduced in 2017 by the CIK-FIA, has significantly increased the number of young Drivers competing against their elders in the benchmark category for direct-drive karts. Formerly trained in OK-Junior, these youngsters challenge the very experienced Drivers throughout the international season without no difficulty, including some professionals and several former World or European Champions. That’s why the CIK-FIA has decided to highlight the best hopefuls of the year by creating a Rookie ranking that counts all the results obtained in the FIA ​​Karting World Championship and the FIA ​​Karting European Championship – OK for Drivers up to 16 years old making their debut in the category. 14-year-old FIA Karting European Vice-Champion Harry Thompson of Britain (FA Kart / Vortex / B’stone) had the most points (104) in the 2018 Rookie of the Year classification ahead of the Italian Luigi Coluccio (BirelART / TM Racing / B’stone) with 94 points and the Briton Dexter Patterson (KR / Parilla / B’stone) with 90 points.